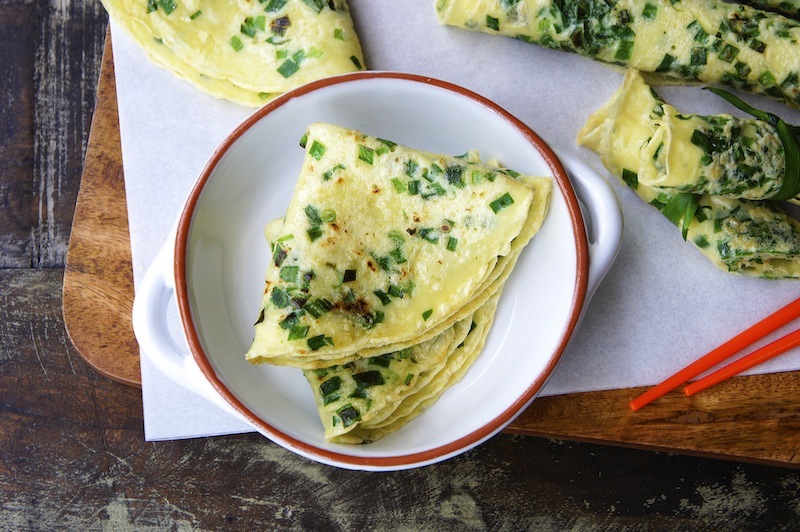 This is a Gluten-Free Chinese Chives Pancakes recipe. The pancake is light, and it is a versatile base for any savory filling, and it can also be a snack serve with some sweet sauce. In a large bowl, combine the rice flour, mung bean flour, and sea salt. Mix in the eggs, water, and stir until the batter has no lumps of flour remain. Then stir in the chives. Let the batter rest for about 30 minutes. What a great recipe, and it's gluten free. I love crepes!